Olá Lisboa! Say hello to our fun-loving office in the Portuguese capital. Pipedrive decided to come to Lisbon during Web Summit 2016. In March 2017, we hired our first person, Cláudia, and started building everything from scratch. Today, we proudly employ 80 awesome people from all different backgrounds. Pipedrive Lisbon has the same structure as in Estonia. This awesome group of people are rocking in the following departments: sales, customer success, customer support, partnerships, product management, product design, software development, automation and quality engineering, human resources, office, finance and infrastructure. Get a glimpse of Summer Garage, an annual event where our team gathers to let our hair down and spend quality time together. We love to go out to have lunch together and take this moment to relax and refuel for another happy and enthusiastic half of the day. Foodies for life, our official cake in the Lisbon office is Bola de Berlin. I bet you all thought it was Pastel de Nata. We have a lot of different themed events inside and outside of the office. We love to party. 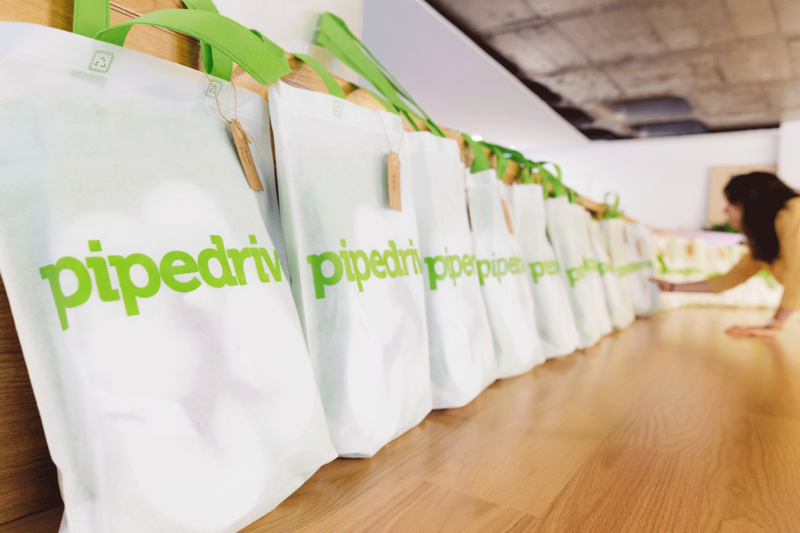 Working for Pipedrive has been by far the best professional experience I've ever had. I could point to a very, very long list of all the great things that make it the amazing place to work that it is, but there is that one special thing above all others. Our people. That one thing that makes Pipedrive, Pipedrive. It's been a hell of a ride but since day one,I knew this was the place to be. It's funny when sometimes I think about the places I've been working, nothing gets close to this. It's not just because of the conditions, it's because of the people – we make this big, giant! Pipedrive allowed me to work in two different foreign countries while selling a product I believe in and respect. The company has a solid culture and it makes my job more human and fulfilling. Challenges exist in any company, but as long as you are surrounded by people who won’t ruin your day (it’s one of our values), you have better chances of overcoming them. On the edge of Europe lies a city where nostalgic, yellow trams squeeze down narrow streets. The sun shines nearly 300 days per year, the temperature rarely drops below 15 C, and thanks to its coastal location, seafood is the star of its cuisine. This friendly city nestled between seven hills is none other than Lisbon.